Quite often people have very different opinions and standpoints when it comes to their carpet cleaning. Some believe that proper carpet maintaining includes immediate reaction to serious staining, some feel how home vacuuming is enough while others are seriously convinced how from time to time their carpets deserve professional carpet cleaning and servicing. Now, the way you feel will most probably depend on the amount of money you have invested in your carpet or on the affection you have toward your carpet. Some might say or think how these two – affection and value - should not even stand in the same sentence but the truth is that sometimes affection value beats the financial one by far. Incredible but true, thank God! Whether you are trying to save your carpets due to the money you paid for it or due to your personal liking and affection to the same, definitely the best way to do it is with professional carpet cleaning and maintaining from time to time. Professional carpet servicing definitely should not exclude your efforts in this area, but the truth is you can never achieve the results a professional carpet contractor can. 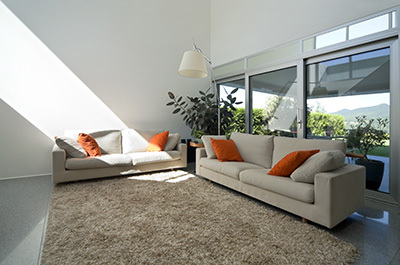 What are the effects of professional carpet cleaning? Professional carpet cleaning translates into completely cleaned and mites -free carpets, it translates into preserved and maintained fibers and carpet composition and it translates into long lasting carpets. If you have an oriental rug for example that you invested lot of money in, then performing various experiments at home trying to achieve optimal cleanliness and spotless would definitely not make much sense. In fact, with carpets of this kind you could do more damage than good. And why risk it when all it takes is to contact your professional carpet cleaning company to have your carpets good as new.